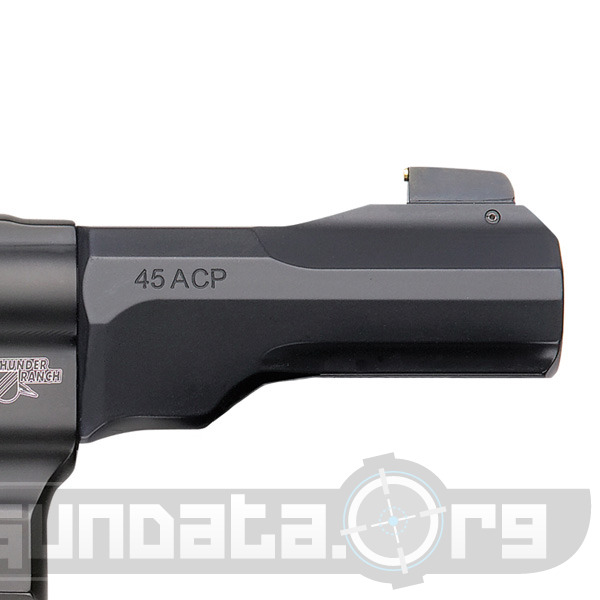 The Smith and Wesson Model 325 Thunder Ranch is a nice little 6 round 45 ACP revolver. Not many revolvers come in .45 ACP, most are chambered in .357/38 special a much longer cartridge. In fact if you look closely you can see that the cylinder looks to be modified to fill the large gap in the frame barrel and cylinder. It seems that if they totally rebuilt the frame from the ground up they could cut down on the revolvers overall length. 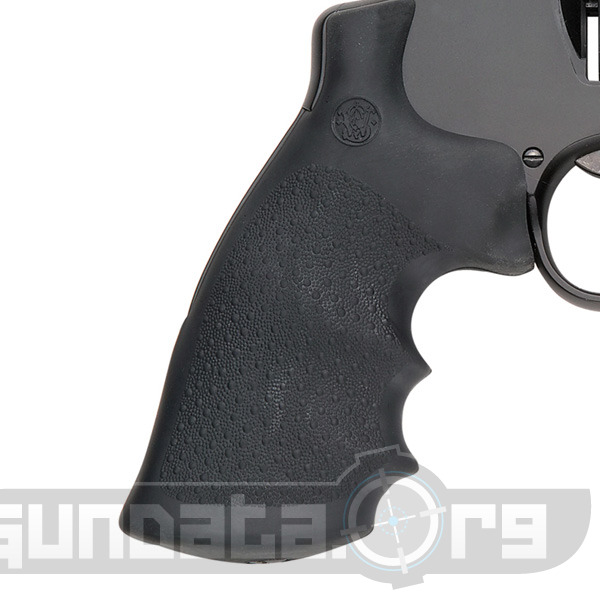 The MSRP on this handgun is a bit steep at $1,289, it has an overall length of 9.5", it has an external hammer, and is a double/single action style revolver. 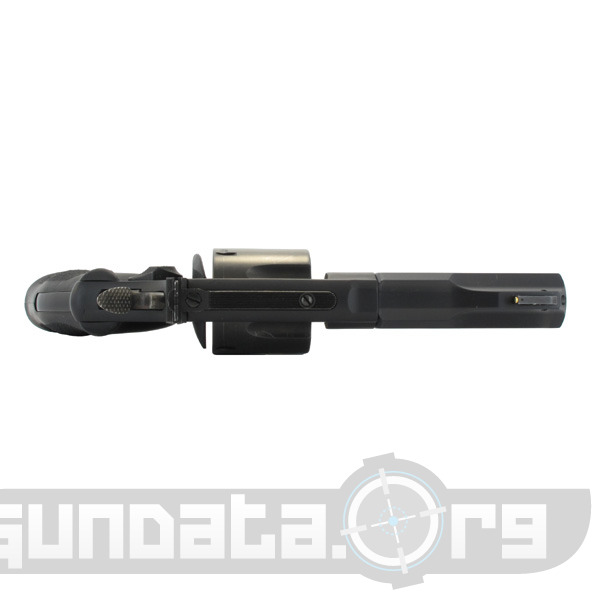 It's covered in matte black, a synthetic rubber grip, and a small 4" barrel. 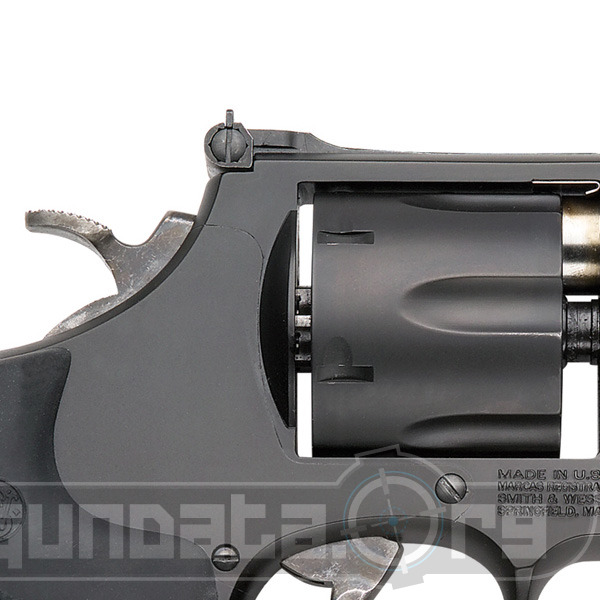 All in all a nice looking revolver that may be a bit overpriced, but a rarity since it's a 45 ACP.